Alright, it might be the angle of the photo but I guess you need to shift the base of the glass slightly to the right. That’ll make it even better, if you are going for three dimensional art. I love the beautiful simplicity of this. When I first glanced at this, I seriously thought it was a real glass sitting on the paper. Excellent job! 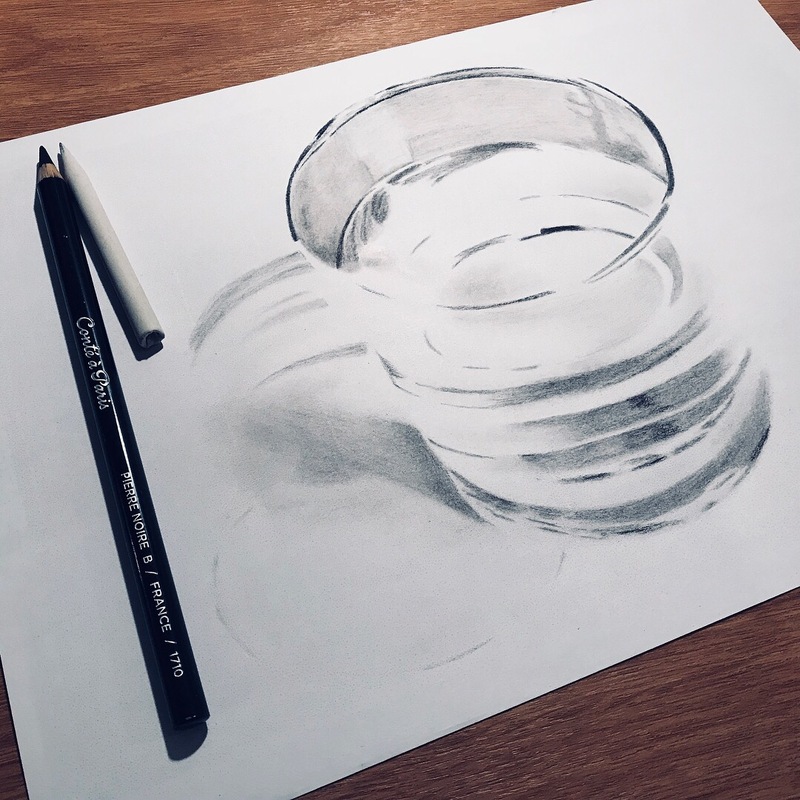 This was my first ‘proper’ attempt at doing this, I’d half-heartedly tried before but without properly looking at the shadows and reflections. I decided just to draw literally what I saw regardless of how ‘wrong’ it seemed. That’s the only key here, I’m sure if I tried to draw the same from imagination then it’d have ended up in the bin with the others. I doubt I could, at least not very well – I occasionally do. But I have little interest in purely drawing from imagination at the moment. It is a very good drawing. 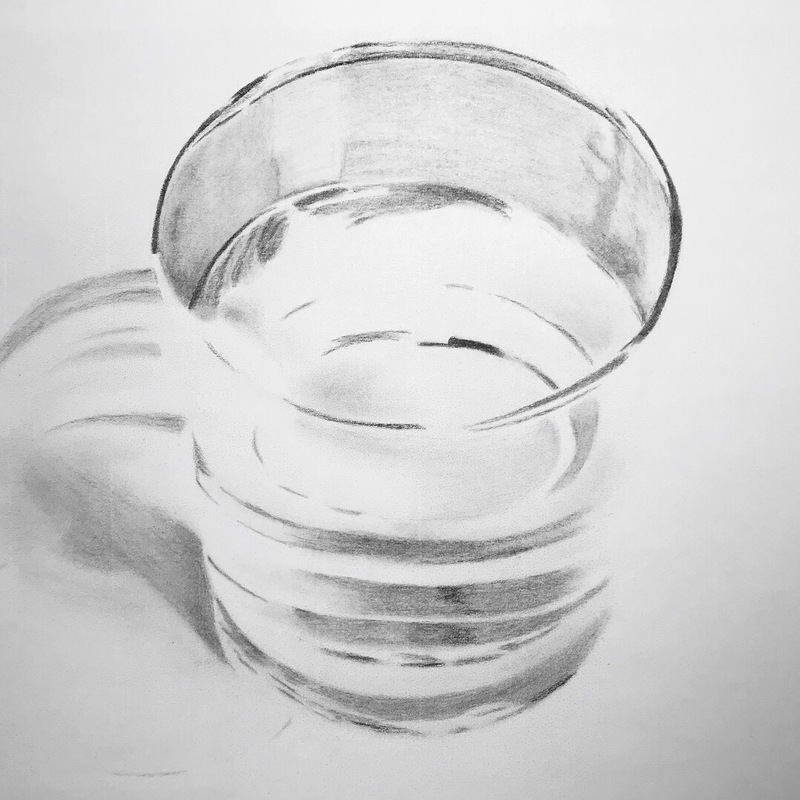 I like the perspecive of the glass and it is great that you have used less tone. It makes it look so light and airy…exactly how glass and water should be!